Everyone wants to shine in business meetings-whether they are leading them or just participating. 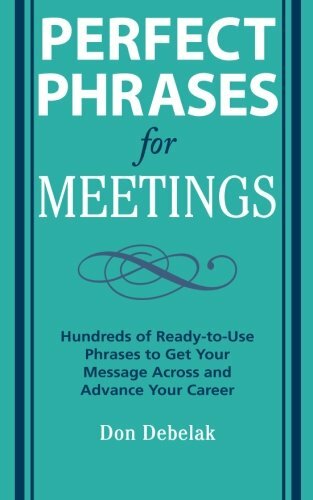 Perfect Phrases for Meetings provides hundreds of winning, ready-to-use phrases, arming you with the right words to say in eight crucial types of meetings. This book is a valuable tool for anyone who needs to get a message across and stand out as a leader.